Woodstock Hardware has a full line of heating, venting, and air conditioning (HVAC) supplies and products to meet the project needs of both home owners and professionals alike. 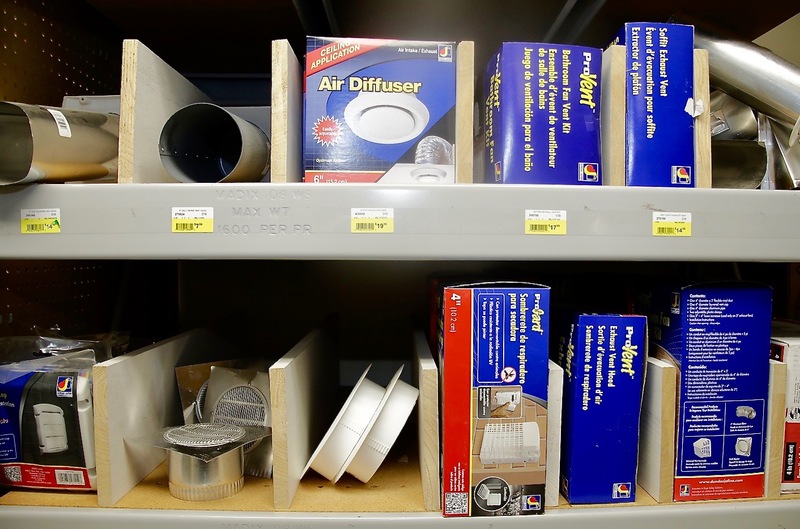 Whether you are replacing the air filters in your homes heating system, installing a new clothes drier, a bathroom exhaust fan, a wood stove, or new duct work for a zone of heat, Woodstock Hardware has the supplies you need. Woodstock Hardware also stocks an extensive line of oil tank and boiler parts to help you service, maintain, and repair residential and commercial oil and propane fueled heating systems. There is no question that our extensive inventory of parts such as; zone valves, feed valves, transformers, circulators, and more, have helped solved many heating emergencies. So, whether it is time to service your boiler and replace the oil filter and nozzle, the circulator needs to be replaced in an emergency or you need to treat your fuel tank during a cold snap, Woodstock Hardware has the parts products and supplies to get the heat back on during those heating emergencies. And don’t forget that with Woodstock Hardware’s Smart Home Program we can help you reduce your utility costs and help monitor the safety of your home from anywhere with our smart phone-controlled thermostats, freeze, and flood alarms manufactured by Ring. In addition to these HVAC supplies and products Woodstock Hardware has an extensive Plumbing Department. With 1000’s of HVAC and plumbing parts whether you are roughing in new, or fixing existing plumbing Woodstock Hardware has all of the supplies you need to successfully complete your plumbing project. In addition to the HVAC supplies and materials you need, with over twenty-five years of experience, Woodstock Hardware can provide you the technical expertise required to help you successfully complete your next project. Here are a few furnace filter tips we have learned over the years we would like to share with you. You should check your filter monthly and often change it monthly, depending on the type of filter you use. To determine if it’s too dirty, remove the filter and hold it up to the light. If you can no longer clearly see light, change the filter. Filters are designed to protect the blower motor from dirt. When buying filters for this task, an inexpensive glass fiber filter will do the job. But if you want to reduce airborne dust in your home use a better grade filter such as #M’s Filtrite brand. 3M makes a variety of different filters to suit everyone’s need. No matter what filter you elect to use just make sure to check the filter monthly and change it when it’s dirty, not just every three months as recommended. By simply properly maintaining your HVAC filters you will improve the air quality in your home, reduce fuel costs, and extend the life of your HVAC equipment. 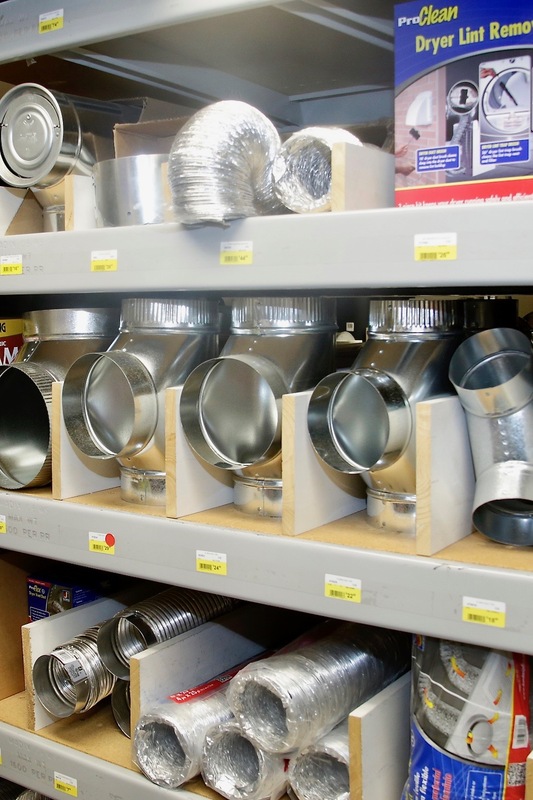 So, the next time you are involved in a HVAC project and need a furnace part, some duct work, a vent fan, or a piece of metal asbestos stove pipe, Woodstock Hardware has the products and supplies you need.